When India’s most prestigious man, Ratan Tata decides to track startups globally, he invests in the world’s largest startup research platform – Tracxn. It is the latest to join Ratan Tata’s illustrious portfolio of impressive startups such as Snapdeal, Ola Cabs, Paytm, Urban Ladder and Urban Clap this January. 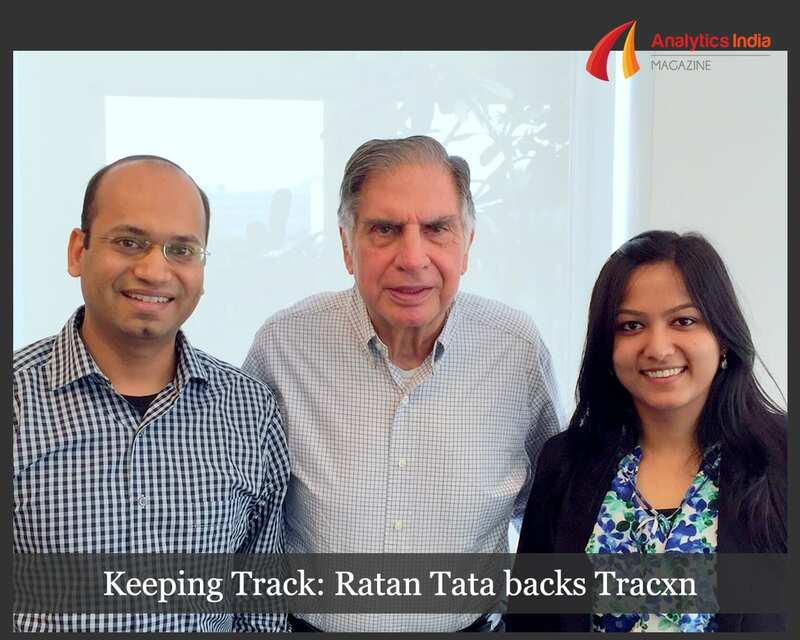 The funding from Ratan Tata as well as his mentorship will mark yet another milestone in Tracxn’s journey. Started in 2013, by former investors Neha Singh (ex-Sequoia Capital) and Abhishek Goyal (ex-Accel Partners), Tracxn raised angel funding from the founders of Flipkart, Sachin Bansal and Binny Bansal, as well as, $3.5M in Series-A from SAIF Partners in April 2015 and rapidly expanded from a team of 25 to 125 in less than 12 months. Primarily a market research company, Tracxn tracks more than 100 sectors, leveraging intelligent data analytics and a sector-focused analyst team to help venture capital funds, private equity firms, corporate development and strategy teams for deal discovery i.e. to spot investment, merger and strategic partnership opportunities in different sectors and upcoming startups and fields. Further, they claim to be building the largest team of Analysts who will exclusively be tracking startups. Neha Singh, CEO & Founder Tracxn, commented, “At Tracxn we are building the largest startup intelligence platform to help investors & companies stay on top on all startup activity. We are very proud that Mr. Tata has seen value in our unique product offering. We are eager to learn from his invaluable experience, as we get ready to take Tracxn to the next level”. Tracxn’s client base has seen a 400% increase and its clientele includes marquee names like Andreessen Horowitz, Sequoia, SoftBank, Google Capital, VMWare, GE and LG. In fact, they work with over 300 customers across 20 countries already. Analytics India Magazine wishes Tracxn on the great journey ahead. Hadoop has completed a decade already!